NEXT is a weekly radio show and podcast about New England, one of America's oldest places, at a time of change. It's hosted by John Dankosky at Connecticut Public Radio in Hartford. With New England as our laboratory, NEXT asks questions about how we power our society, how we move around, and how we adapt. It's about trends that provide us challenges and present us with new opportunities. New England has old rules and customs, with well-worn pathways forged centuries ago, and its population is aging fast. Through original reporting and interviews, on NEXT we ask important questions about the issues we explore: where are we now? How did we get here? And what's next? We're finding out how our six small states are tackling similar problems in different ways, and we're searching for the connections that already exist. In what ways does New England really function as one large state, instead of a collection of tiny colonial outposts? NEXT charts the changes in our populations to and from our urban areas. And we're looking outside our New England region for new ideas and trends, all with help from other regional collaborations around the United States, with our global news partners, CPB, PRX, NPR and BBC. Have a question you'd like NEXT to investigate? Tell us about it here. 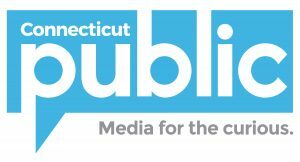 Or email us at next@ctpublic.org. You can find a full list of episodes here. Get all episodes of NEXT here!